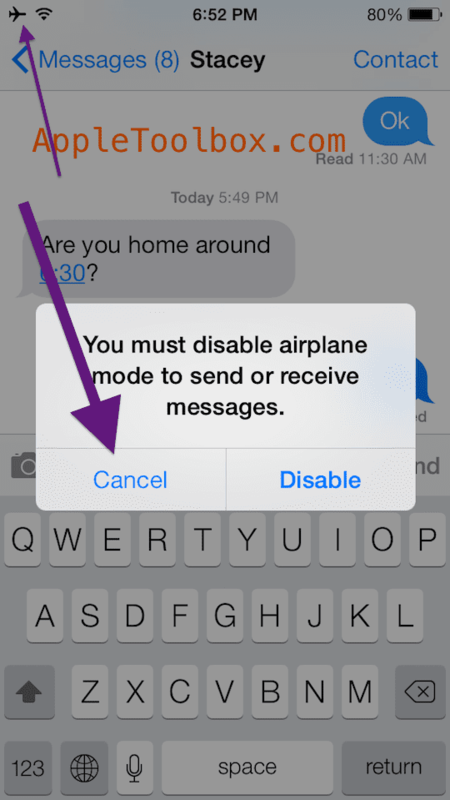 We often get the question, “can I send texts or iMessages in airplane mode?” And the answer is yes AND no. And it’s often confusing. You can text your Aunt who uses an iPhone 5S, your brother who uses an iPhone X, even your Grandma who just loves her iPad Air. But you can’t text your partner, who loves her Samsung Galaxy 7 or your boss who’s still somehow using Blackberry. Well, what in the world is going on here? Essentially, it comes down to Apple users versus non-Apple users. 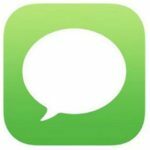 Yes, you can text Apple devices and Macs using iMessage when in Airplane Mode. And no, you cannot text your best friend, who’s attached to her Android phone. 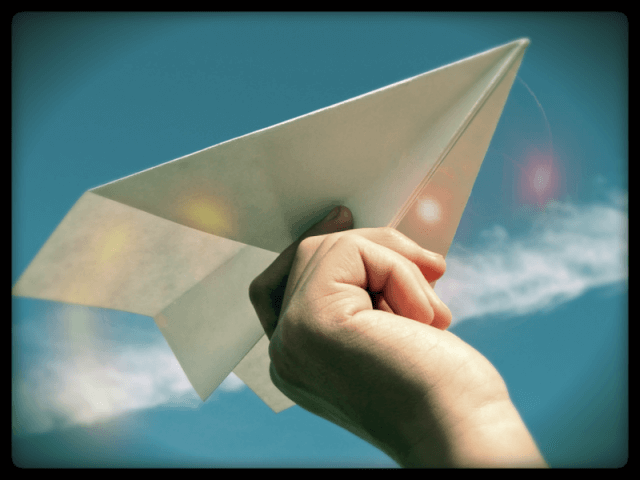 1 What’s AirPlane Mode Anyway? 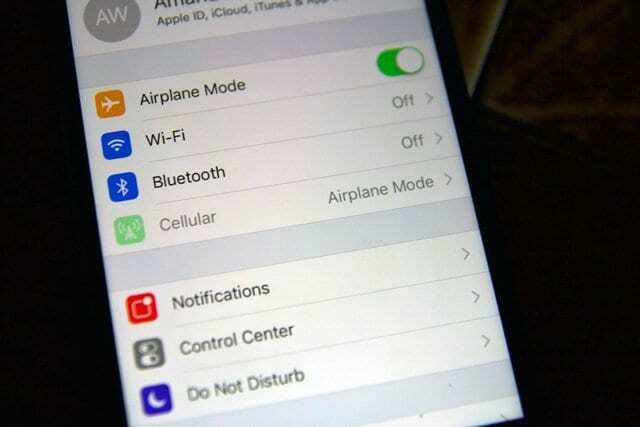 Airplane mode disables the wireless connections and services (cellular, Wi-Fi, GPS, location services, and Bluetooth) of your iPhone, iPad, or iPod touch. 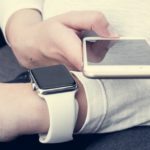 However, you may still send and receive iMessages when you enable airplane mode, if you’re in range of your Wi-Fi connection, because iMessage allows users to send messages over Wi-Fi. 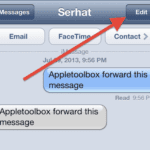 While on WiFi, your iPhone sends iMessages to other iDevices and Macs. 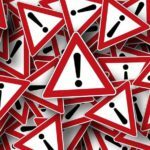 If you’re unable to send texts to friends or family, they might use Android or other non-Apple devices, which require SMS/MMS messaging via a mobile carrier. You cannot connect to your mobile carrier when Airplane Mode is ON. 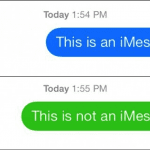 The easiest way to tell is iMessages are blue, and SMS/MMS are green. 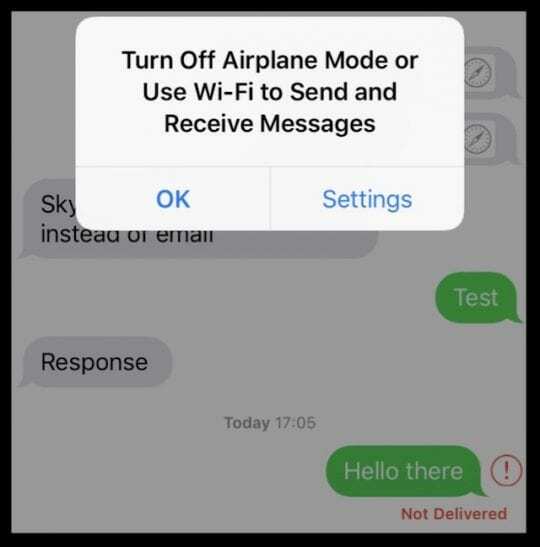 Only blue iMessages can be sent while Airplane Mode is on. 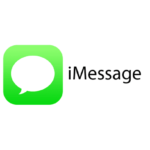 If iMessages aren’t sending, try toggling iMessage off and then back on by going to Settings > Messages. Typical; Apple trying to force non-users to buy THEIR products by excluding them from their own little cool-kids coterie. Cancel is not one of the choices. It says “okay” or “settings”. Pressing either of those has zero effect. Did not work. Just said “Not Delivered”. The “You nust disable airplane mode” message did not appear.